Commercial Construction Companies Say Helical Foundation Systems are Beneficial? 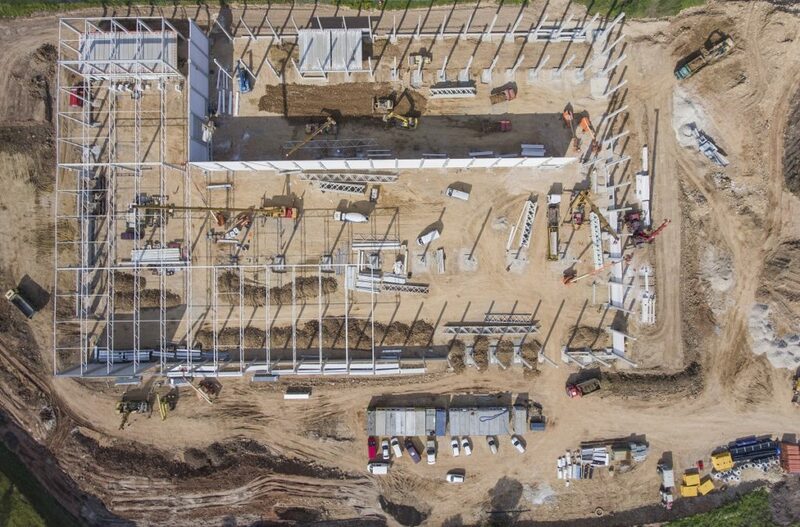 - M-3 Enterpises Inc.
A lot of commercial construction companies see helical foundation systems as a fairly new technology—one to remain skeptical about, particularly in applications like deep foundation support for a building. The use of helical piles for building development goes back almost 200 years. The earliest forms of contemporary helical piles were first found in England in the 1830’s—for moorings and as lighthouse foundations. The helical piles of today are earning worldwide assent in the engineering community and construction industry because of the adaptability of both the installation equipment and the product. The International Code Council Evaluation Services (ICC-ES) passed AC358, Acceptance Criteria for Helical Foundation Systems and Devices, in 2007. Helical piles have also been introduced to the International Building Code (IBC). If deep foundations are needed because of the soil, site and/or construction settings and service/allowable loads are in the standard limit for helical foundations. AC358 affords normal capacity rates of 6 kips lateral and 60 kips in axial tension and axial compression. When other deep excavation options for the replacement and removal of foundation soils are needed. The break-even mark for deep foundations versus excavation changes for each project depending on conditions like excavation volume, excavation depth, disposal site hauling distance and suitable backfill soil availability. The decision to go through with a deep excavation or not can also be impacted by the groundwater table elevation and the construction agenda. As another option for other deep foundations like drilled shafts, auger-cast piles and driven piles. Helical piles might not deliver comparable high capacities as similar deep foundation alternatives—but when additional helical piles are needed, they can still be more cost-effective. Helical piles are able to be installed without many small installation tools, so moving expenses are a lot lower. Also, helical piles become particularly cost-competitive when pile quantities are limited, usually less than 60-80. With larger numbers, various other factors can still make helicals your best bet. To get a project started with state-of-the-art technology with an experienced company, contact us. We at M-3 Enterprises are acclaimed for our agriculture buildings, aircraft hangars and commercial buildings.